Saving money gets tight when you have no plan for your earnings. 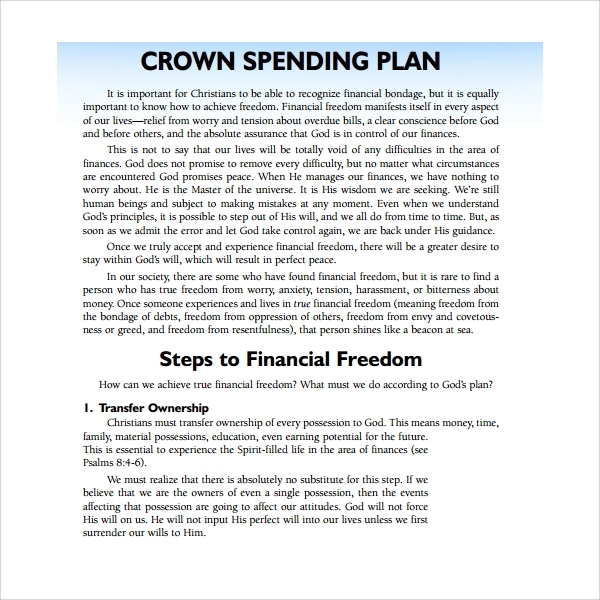 Creating a spending plan to manage your finances will give you control over your income. A spending plan is not meant to restrict you from spending your money rather; it is to help you achieve your financial goals. Through a Spending Plan Template, you get to identify your income, compare your earnings with your daily expenses, and realize your profits. The procedure will equip you with financial skills that will always assist you in setting up your priority list. These cost management plans may differ according to whom they are meant to serve. 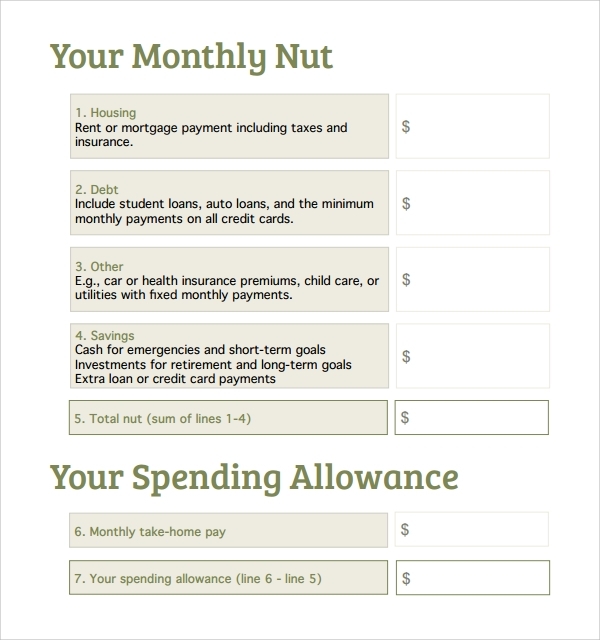 Different organizations require creating a spending plan for various purposes. The document should state the name of the company in charge of the project as the first thing followed by the business’s address and contacts. The second thing should be a name for the project. It should also list the people who revise the document and state the dates they read the plan. They could include a client, a consultant, the coordinator, or even suppliers. The sponsor of the project (if any) should also go through the document and approve it; the date of approval and name of the sponsor must be on the document. Other significant aspects that should appear on the paper are the company’s cost approach, the project’s cost estimate, and how to control the project’s funds. 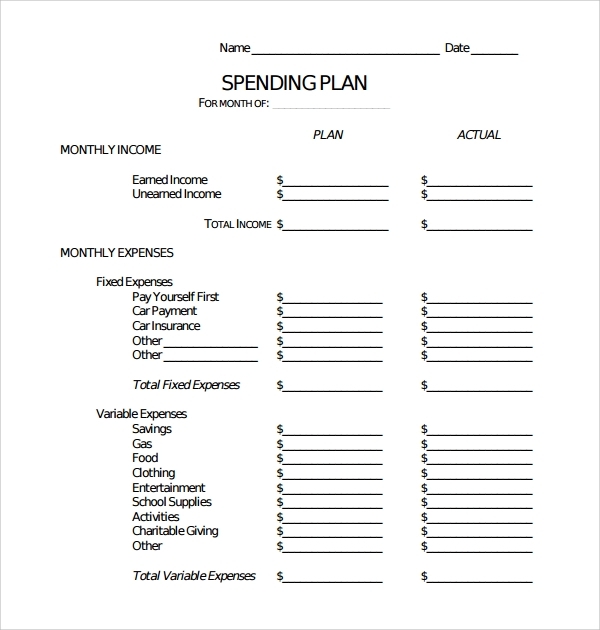 Additionally, attach relevant documents to the spend plan report. The document has to list a strategic plan with a catching statement as the title and a summary of objectives the government has set. Following, should be a performance plan which should describe the operations the government will be running. Lastly, there should be a report of the exact figures the plan will be working on and results expected after executing its plan. Programs or activities armies engage in operate on large sums of money therefore proper accountability is essential. 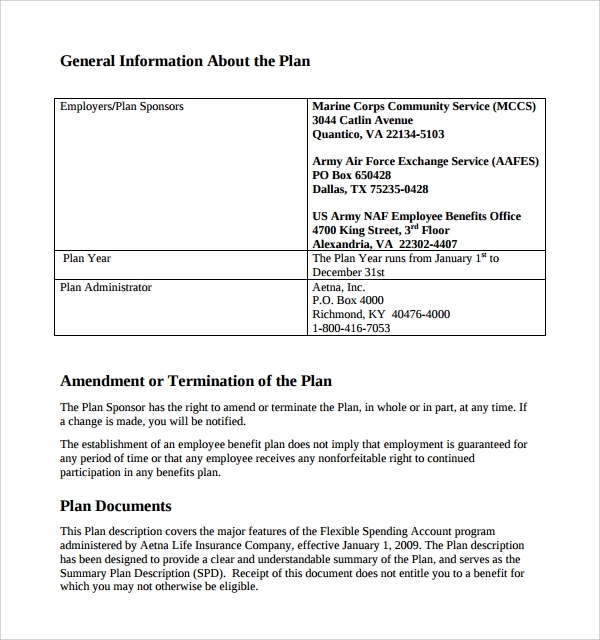 A financial plan document is drafted to include specific aspects. The first thing to jot in the scheme is the obligation set for the financial year and the expenditures. Following should be a description of how the army will execute the planned budget to meet the desired goals. Explanations of why there is a difference in the expenditures (if any) are also stated defining the problems affecting the institution. 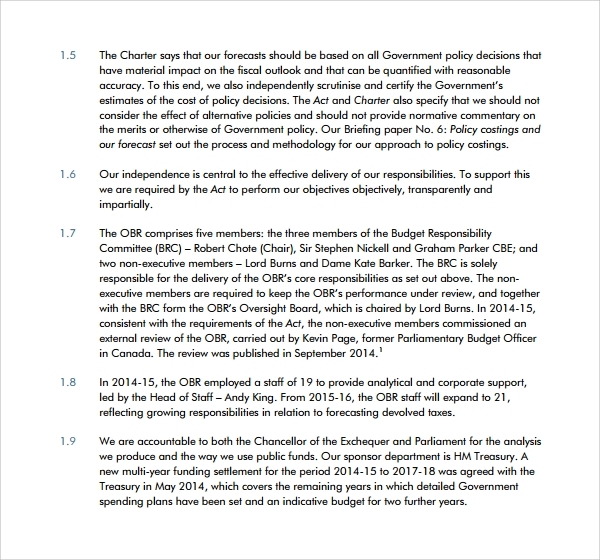 Also, give solutions and recommendations for these emerging problems on the document. 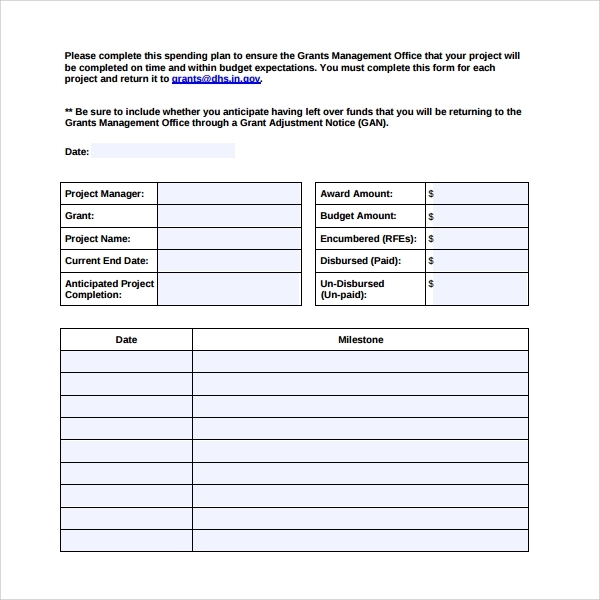 This document should include your company’s name and the date of the budget plan. 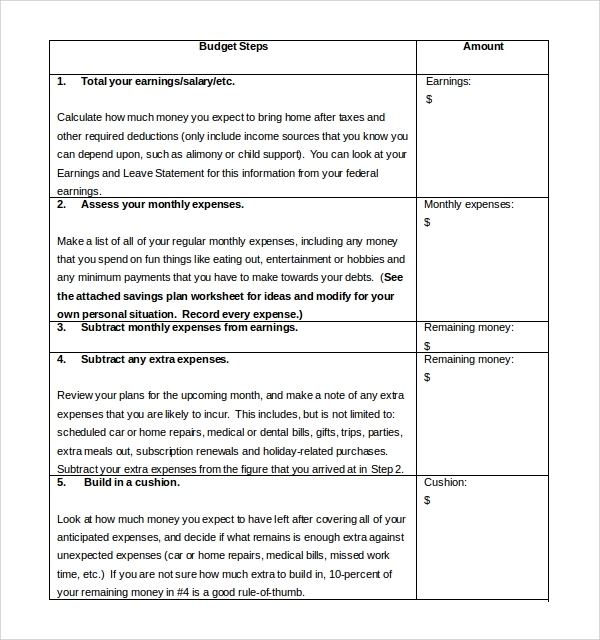 Following should be ledgers stating the incomes realized, total expenses, and the net income. After that, list the goods or services your company offers and tell their respective costs. On the document can include essentials such as prompt costs. 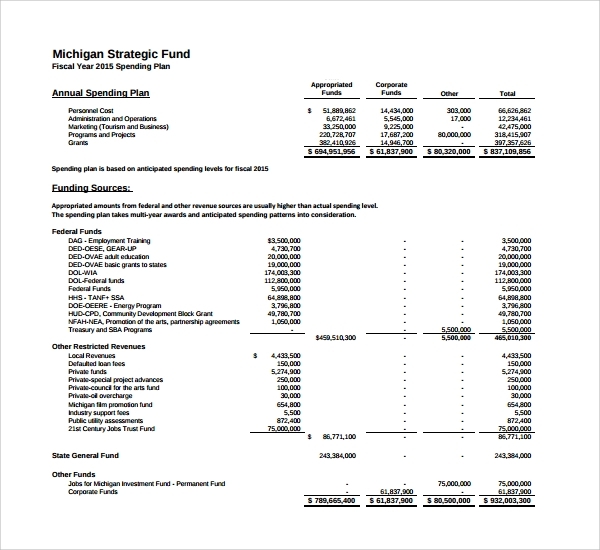 Drafting a Spend Plan shows transparency and accountability especially when handling public funds. It also lets you get have ultimate control over your cash flow, therefore, making it difficult for problems such as bankruptcy to get to you. Lastly, with a spending plan, you can foresee financial problems for your business. How will a Spend Plan help your Business? The document is designed to offer you an effective money plan for your project. 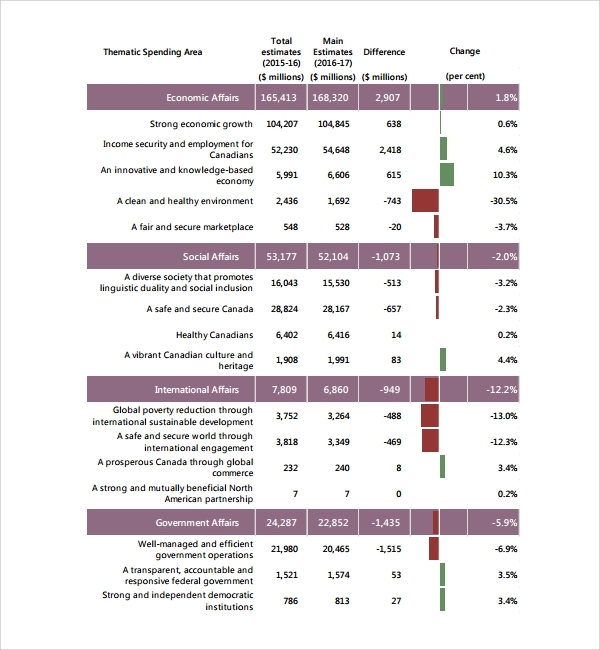 It helps you do an analysis of the cost estimates and identifies the income sources. 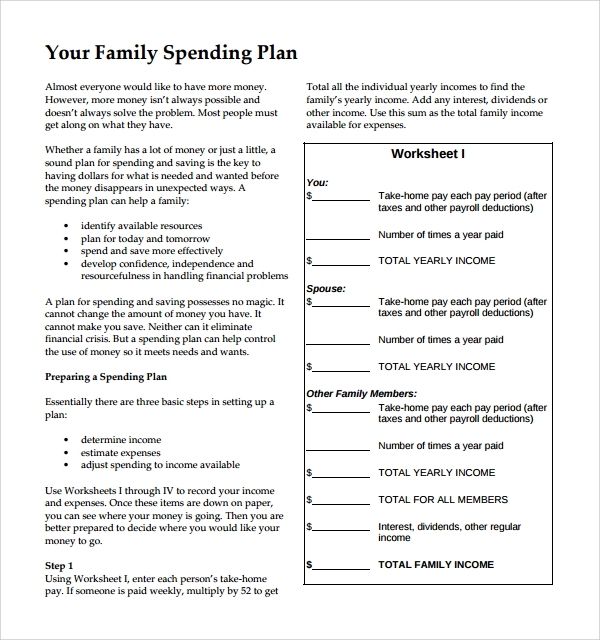 The plan helps to achieve financial goals. It is always wise to have a budget plan for your business regardless of its size. This gives you a higher chance of growing or expanding your business. The spending plan markets your business to potential investors. You can also see Release Plan Template. A spending plan is the right eye opener for you in the world of business. Get our active spend plan templates at an affordable price and have your business moving.